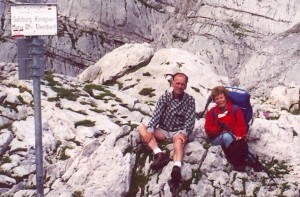 Defying preconceived notions of your average outdoor adventurers, at ages 80 and 82 the Seiferts have tackled trails in the Alps for the past 20 years. This past summer, they traveled through the Aosta Valley in Italy. Traveling just below the ridge of the Alps, they headed west in the shadow of the Matterhorn connecting with the famous Tour Mt. Blanc route to the tiny French village of Chapieux. Spend the evening enjoying pictures and tales from the travels.